Bosses at the Museum of Science and Industry agree deal with Network Rail to drop objection to £85m bridge plan. No 9... no, not Union of South Africa, but a working replica of the historic 2-2-0 locomotive Planet, seen between the former warehouses at what is now the Museum of Science and Industry (MOSI) in Manchester on 4 February 2010. 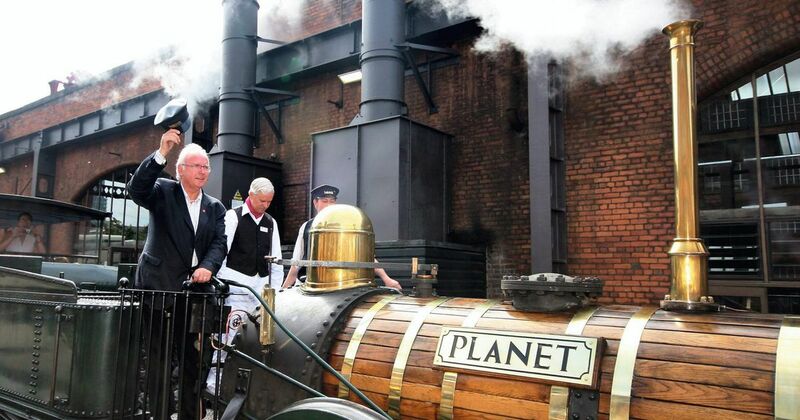 The locomotive was in steam to coincide with the visit of HRH the Prince of Wales and the Royal Train, hauled into the museum by A1 pacific Tornado. Scene at Manchester Liverpool Road station in 1985 with an unidentified saddle tank running shuttles up and down the line.